Bluestem Health provides medical & dental services for the Lincoln community. We accept all major types of insurance & have a sliding fee discount program. $20 helps provide a month of insulin for a diabetic patient without health insurance. $25 helps provide an influenza vaccine for a patient without health insurance. $30 helps provide a copay for a mother or father who isn't feeling well but cannot afford a doctor's appointment. $110 is the average cost of lab work for a patient who is uninsured and on our sliding fee discount program. 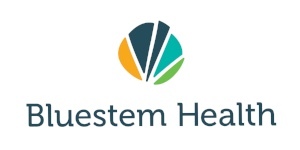 Bluestem Health had a patient that was suffering from a chronic disease and wasn’t getting their medical condition under control. Both the provider and patient were frustrated with lack of compliance the patient was having with their medical issue. We had patient talk with our behavioral health consultant, met with our chronic disease nurse, and sent our Community Health Worker (who’s also a Paramedic) to the home. We were able to identify many barriers to medications, food, exercise, etc. The patient just didn’t have a great understanding of their illness. With all of the resources that Bluestem Health has, we were able to help identify behavioral health & socioeconomic issues that prevented them from getting medications. Our 340B Pharmacy program was able to get them affordable medications, eventually, getting them on the Medication Assistance Program which allowed them to get free medications. We helped them get more organized in their home, worked with their behavioral health therapist, and with case management we were able to get their labs back into a “normal state” for their condition. We were also able to decrease the amount of times they went to the Emergency Room each year. With your help, we can continue to offer a new way of treating patients and helping them overcome obstacles to getting quality health care.